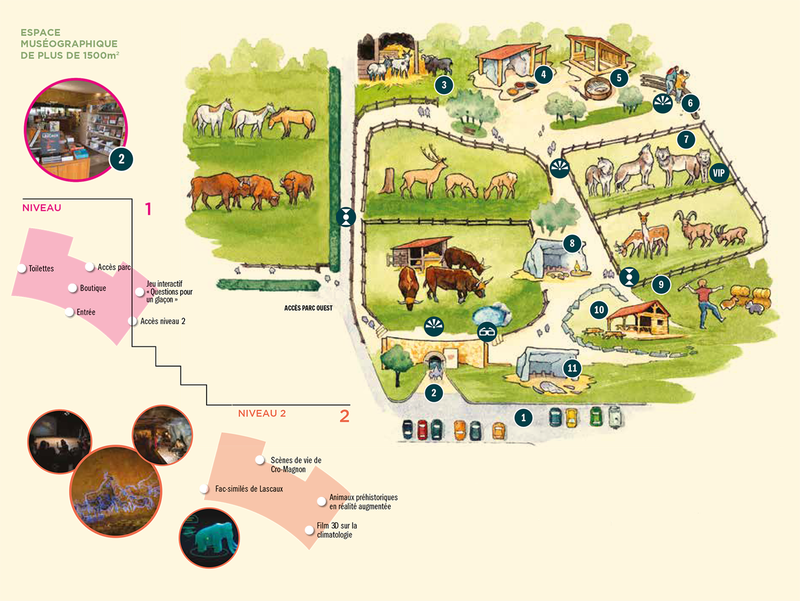 Ideally located, the Parc du Thot brings together in one place a museum space, an animal park and modules of workshops "prehistory". 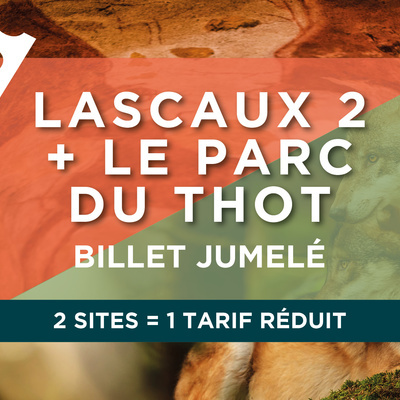 This visit to the discovery of the Man-Animal relationship invites to travel to the prehistoric era and allows the visitor to discover the man of Cro-Magnon, hunter and animal painter emeritus. Discover prehistoric artistic techniques in a museum space dedicated to prehistoric daily life. Thanks to a brand new blacklighting process, the engravings of Lascaux’s Nave will be displayed in great detail. Then, at the end, the whole family can test its knowledge playing the interactive tablet game, “Questions for an Ice-Cube” based on the themes of the visit. VIP event – The Wolf Caretakers!